For over 15 years I've been helping Buyers and Sellers realize their dreams. I care deeply about my clients and helping them find the best loan programs available to them, and helping them understand their options. My team ensures every client has the necessary information to make the right mortgage choices. I believe in doing the right thing, always. My word is your guarantee that our team will never give up. We use the latest technology to deliver a truly different experience, and we never sacrifice human interaction. What drives and motivates me to be the very best I can be? My beautiful daughters Grace and Abby, they are the center of my world. Gary was very patient with us and all of our questions. He was also very responsive and thorough, explainig all of our options and scenarios. He has a great sense of humor and made the process as painless as possible. Gary was very helpful and always available. Gary was such a wonderful resource for my husband and me. 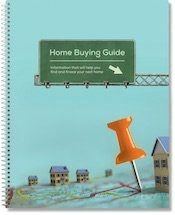 We were first time homebuyers with limited knowledge in regards to the mortgage process and what all the different terms mean, and Gary was able to take a step back and explain everything. He was very patient as we asked a lot of questions to ensure the rate and loan option we were choosing was the best one for us. If he hadn't heard from us in a while, as we waited for our closing date, he was very good about checking in periodically.